We are Travel Staff. 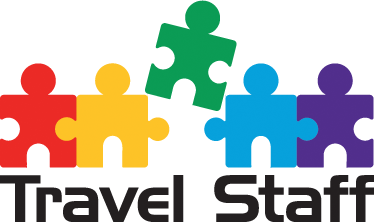 Established in early 2017, but with combined experience of over 50 years in the travel industry. We are a team of tenured travel professionals, aiming to simplify your staffing needs by reducing the time you spend on the hiring process. We act on a firm conviction that in order to succeed, a service business must address the distinct needs of each customer. Here is why you should use the professional services of Travel Staff: As former travel agents, managers and employers, our success was measured by the consistent delivery of high quality service and professionalism, which is exactly what you’ll get when you hire us to manage your staffing needs. Our strongest skill is the ability to engender confidence with diverse clients such as Hotels, Airlines, Corporate & Leisure Travel Agencies, and Travel Technology companies. We are well aware of the struggle to find the perfect candidate. Therefore, we take on the task of screening applicants, checking references, and conducting background checks so you don’t have to. If you’re looking for a recruitment agency to deliver qualified talent while promoting your company, you’ve found one. to set up an introductory call. Imelda began her career in the travel industry in 1984. Working as a clerk in Airline Accounting and a desire to learn the business, she quickly broadened her skills by integrating into the world of Corporate Travel. Her experience in HR, Customer Service and Operations makes her a versatile and divergent professional. Imelda speaks English and Spanish fluently. A multi-faceted Travel Industry Executive, Nick has first-hand experience working in Leisure, Corporate, Entertainment, Incentives, Meetings, Hotels and Airlines. He served as President and Vice President of prominent Incentive and Meetings Associations, giving him an immeasurable network. Nick brings his experience and savoir-faire to Travel Staff, to help select the best candidates: from Front Line Talent to Executive Level searches. A seasoned professional with an expansive background in the travel industry. Her experience ranges from airport operations to production travel, managing a travel office, booking meetings and events, and everything in between. As a hiring manager, Sylvia developed a keen eye for attracting great talent. She has accumulated her “know how” through her 40 years in travel and projects her vision of “the perfect employee” to our clients. She speaks English and Spanish fluently. Everybody loves Don! With over 30 years of experience in the Travel industry, spending most of his tenure working in Entertainment, TV & Movie Production travel, Don has created a footprint in the travel space, known by all. His tenure at Mark Allan Travel, American Express and BCD, gave him the opportunity to cultivate relationships and grow a large group of clientele. Dalia joins Travel Staff with 6 years’ experience in airline operations. Her tenure with American Airlines gave her insight to the travel industry as well as her combined 7 years of recruiting and other HR related duties. Dalia’s work in recruiting policy and procedure for a government agency, contributed to her understanding of the complexities and layers involved. Her degree concentrated in Psychology, so watch out what you say to her! Martha is a hotelier. She holds a degree in Hotel and Restaurant Management. Her storied career includes time with Hyatt, Loews and Four Seasons where she was Director of Marketing at the Beverly Hills property. Most recently Martha was in charge of Global Sales for LE Hotels. Martha is a member of PROST Orange County and a board member of LABTA. She is a consummate networker. Our hotel customers will delight in having Martha on the Travel Staff team, able to understand their needs and draw on her network to locate the perfect candidate. A college student on the brink of receiving her degree, Roma joins the Travel Staff team with hopes of finding “what she wants to be when she grows up” (a phrase we all know too well). With her spunky personality, quick-witted responses and intelligent assimilation skills, Roma will no doubt prove to be a great asset as we nurture her and put her on the right career path as she continues her studies. Laylan pioneered recruitment for the travel industry in the 80’s. Highly respected as the voice of experience Laylan is known for his knowledge of the travel industry and his hands on role in recruiting for some of America’s best known travel companies. Travel Staff is very proud to work with Laylan and to be able to call on his mentorship. Our favourite emotional support dog is here to save the day! Woof! Project Management Services means many different things to the workforce. But in the “Travel World”, it means “specialized individuals for the needs of your business”. Whether it’s a temporary ( CA & NY only ) need or Full-Time position to fill, or if you simply want to be a part of this amazing team. Tell us and we will make the match!